Georgia Military College (GMC) a junior college, a military junior college program, high school, and middle school in Milledgeville, Georgia. – schools for troubled teens and therapeutic schools. Georgia Military College (GMC) is divided into the junior college (97% of the Bulldogs), a military junior college program, high school, and middle school in Milledgeville, Georgia. It was originally known as Middle Georgia Military and Agricultural College, until 1900. GMC is one of five military junior colleges that participates in the U.S. Army’s Early Commissioning Program. Students who graduate from GMC’s two-year, military science-oriented curriculum receive an officer’s commission in the U.S. Army. 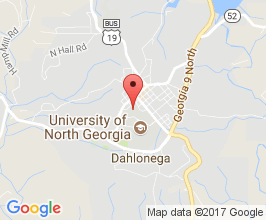 Although GMC is a state funded institution, it is not part of the University System of Georgia or the Technical College System of Georgia. The junior college was established in 1879, and later added a preparatory school for students in sixth grade through twelfth grade. From academics to athletics to the preparatory school system to the expanded campus system, Georgia Military College proudly offers more than a simple liberal arts junior college title. So, let’s look at the academics that set it apart. Georgia Military Academy (GMC) presents a three-pronged degree system for its graduates. The junior college awards the core curricular degrees of an Associates of Arts, Associate of Science and Associate of Applied Science. Each course set usually transfers easily to a four-year college with minimal loss of credit hours. GMC is a military college that grants a U.S. Army commission upon graduation for those who pass the two-year Associated of Military Sciences program if that level of degree is desired, or the graduates can opt to transfer their hours to the associated four-year college, North Georgia College and State University, to pursue the baccalaureate of choice. However, competition for these Early Commissioning Program slots is fierce, and the application process can be convoluted. GMC’s Academic Honors program celebrates excellence in academics, athletics and extracurricular activity and community service. Presented throughout the school year, Honors recipients are awarded plaques, certificates, medals and other awards for continued excellence throughout the academic cycle. Georgia Military College flaunts a long and proud history as the Georgia Bulldogs. Like the mascot’s namesake, the Dogs rarely give less than 100 percent, and they extend their proud heritage through football, softball, golf, soccer, cross country running and rifle teams. GMC maintains sports programs for both male and female athletes, and several programs, such as softball, soccer and cross country, are equally challenging. At least 36 All-Americans and several Superbowl Champions claim roots in GMC. Multiple titles and honors are claimed by GMC athletes and programs, including national football championships for junior colleges, golf awards. soccer championships and others. Both men’s and women’s athletics programs sponsor cheerleading squads to help motivate and support GMC’s teams. Anyone with a high school diploma or GED can apply to GMC. Georgia applicants may have an advantage over out-of-state applicants, but alumni of the preparatory school system have the biggest boost. In and around Baldwin County, Georgia, is a junior high school and high school considered part of the preparatory school system for Georgia Military College. Graduates from these schools who apply for admission to GMC are given priority consideration over others. Georgia Military College offers six campus locations and two extension locations, presenting one of the most widespread venues of any junior college in the country. Some locations offer academic or athletic programs that others do not, so choose your preferred geography with those in mind. The total number of students and faculty at Georgia Military College vary from year to year and via the venue chosen. Up to 95 percent of students commute part-time and meld full-time jobs with evening or weekend classes. Additional numbers are exploring the online option that GMC is developing and expanding. The additional campuses are located in Columbus, Augusta, Fairburn, Valdosta, Warner Robbins and Stone Mountain. Extension centers are located in Madison and Stone Mountain. Distance learning centers are based in Atlanta and other locations around the state. • Annual Unduplicated Headcount – 11% increase from 12,438 students the previous year to 13,816 this year. • Annual FTE – 8% increase from 7,507 the previous year to 8,107 this year. • Fall Enrollment – 9% increase from 7,221 in fall 2014 to 7,876 to fall 2015 term. • 3-year Graduation Rate – Increased from 25% (fall 2011 cohort) to 27% (fall 2012 cohort). • 3-year Transfer-Out Rate – Decreased from 32% (fall 2011 cohort) to 26% (fall 2012 cohort). • Fall-to-Fall Retention – Increased from 54% (fall 2013 cohort) to 56% (fall 2014 cohort). • Graduates and Degrees Awarded – The number of graduates have increased by 208 (15%) from 1,410 in 2014-2015 to 1,618 in 2015-2016, and the number of degrees awarded have increased by 262 (18%) from 1,472 in 2014-2015 to 1,734 in 2015-2016. • Gender – The student body consists of 61% women and 39% men. • Fully Online – 24% of GMC students are fully enrolled online. The number of students fully enrolled in online courses increased by 1,091 (48%) from 2,265 last year to 3,356 this year. • Dual Enrollment – The number of dual enrollment students have increased by 906 (237%) from 382 in 2014-2015 to 1,288 in 2015-2016. This program has also increased the number of students in the “under 18” age range by 713 (775%) from 92 in 2014-2015 to 805 in 2015-2016. The “under 18” age range comprises 6% of GMC’s student population. • Student Type – The GMC student body is 98% commuter students along with 2% from the Cadet Corps. The GMC student body includes 6% active duty military and 5% veterans. • International – The number of Non-Resident Aliens have increased by 14 (61%) from 23 in 2014-2015 to 37 students in 2015-2016. Should you need help finding Christian schools for troubled youth, behavioral health treatment centers, and help for troubled teens please let us know. Military schools offer structure, mentorship and a safe environment that limits distractions and temptations that can detract from academic and personal progress. Still, military schools are not always the right choice for every young person. While military schools offer structure, and academic and athletic discipline in a controlled environment, military schools are not intended to act as a rehabilitation program. Military schools want students who wish to prepare themselves for a future in a collegiate, military, or professional setting. Georgia Military College (GMC) a junior college, a military junior college program, high school, and middle school in Milledgeville, Georgia.